I had the privilege of being the Toastmaster last Thursday at Airpark Toastmasters. If you’ve ever attended Toastmasters, you know that it’s a great venue for testing your willingness to step outside your comfort zone. 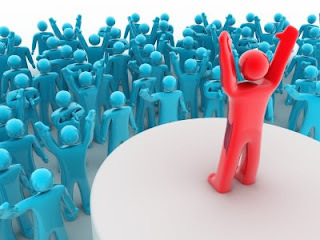 Toastmasters allows participants to improve speaking and leadership skills in a supportive learning environment. I challenge myself weekly by attending Toastmasters and I use this as a way to stay sharp. I also use it as a networking opportunity. I believe we determine our own destiny by our attitude. To put it simply, if you are a positive person who takes responsibility for your own actions, you will create the life you deserve. If you are a negative person, who makes negative comments and focuses on what’s wrong with a situation, you will create a destiny of negativity. The best part of being the Toastmaster is that you get to use the role as a platform for your ideology. And since I lean more to the right than the left, that’s what I did on Thursday. Personal Responsibility – Have We Become a Nation of Whiners? What do you think? This is a great country. It’s the best country I’ve lived in and The United States is my third country! Over the years, however, governments, both national and local, businesses and other institutions have made a name for themselves by helping others reduce the need for individual responsibility. Didn’t save for retirement? No problem. Here’s a government program to help you. Have at it. Can’t take the pressures of providing a living for yourself? No problem. Here’s another program. Love to eat but don’t like to work out? No problem. Here’s a surgery to take the weight off the easy way. My philosophy is that "You are responsible for your own life. Being responsible is not a choice. It's a requirement for a strong society." For four years of my life I earned a paycheck from a business that was not my own. I worked for the largest and most respected mutual fund company in the nation. I loved my job, but I was astonished that most of my coworkers complained constantly about the company. Health insurance costs went up each year and people complained. Health insurance is not a right it is a benefit. A 401k plan company match is not a right, it is a benefit. Vacation is not a right, it is a benefit. If you don’t like your job – take responsibility for your own happiness and get a new job. Don’t want to work for “the man?” Great. Start your own business. But please don’t poison your coworkers with your negativity. Taking responsibility can transform your life from one of being a victim to having power over your own life. The stronger your attitude of responsibility, the more success you'll have in your life. Please take responsibility for your life. Don’t look to the government, your employer, or your significant other to take care of you. If you find yourself being particularly comfortable in your safe office, and you realize that you need a challenge, find a Toastmasters club and try it on for size. You’ll find that it will give you a competitive advantage in your industry.